Dr Christopher Scott is a Consultant Physician in HIV and Genitourinary Medicine. 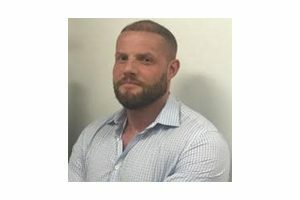 He is the Service Director for Chelsea & Westminster Hospital Genito-urinary Medicine clinics and works as a private physician at samedaydoctor. Dr Scott trained at University College Hospital London and was appointed as a Consultant in 2010. Dr Scott works both as a Genitourinary Medicine physician within the NHS and privately. He has extensive experience in all aspects of inpatient and outpatient HIV management, AIDS and antiretroviral therapy. He is part of a team providing care for the largest cohort of patients living with HIV in Western Europe. He has lectured extensively within the UK and internationally. he has been involved as a Co-investigator on multiple phase 3 clinical trials on antiretroviral therapy. Dr Scott is an expert in all aspects of acute and chronic sexual health management. This includes sexual health infection screening and treatment in men and women, management of chronic sexual health problems and erectile dysfunction. Dr Scott has worked with samedaydoctor for over 10 years and heads up the HIV team looking after patients who are positive for HIV as well as advising on the use of Pre and Post exposure prophylaxis (PEP and PrEP) which is available at our samedaydoctor private GP walk in clinics.